Sweet Inspired Home: Vests with flair! I had been wanting to try making clothes that I could wear. My friend had mentioned to me that she thought it would be cool if someone could make her a jacket that was conservative on the outside so she could wear it to work but had a fun inside lining that reflected the fun side of her personality. Kind of like her own little secret on the inside. I thought that idea was so fun! Living in Colorado, I thought a fleece vest would be the perfect thing to start with. 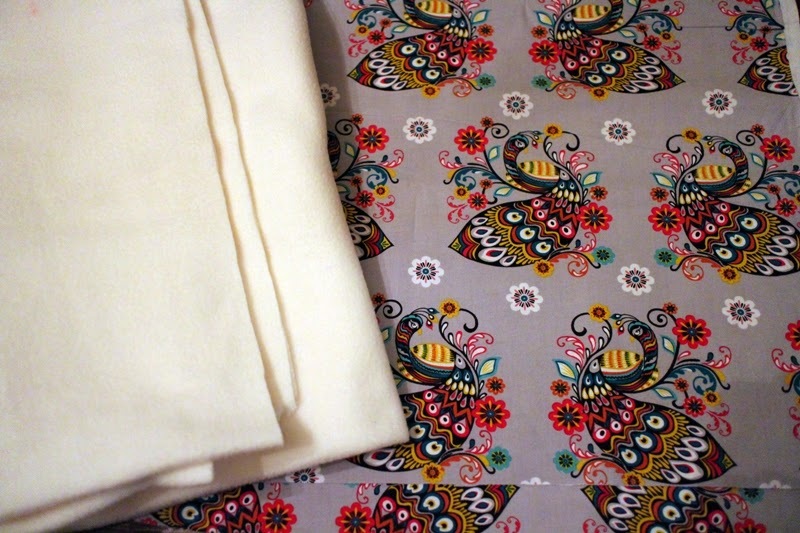 I went to the fabric store and spent quite a while looking for a fabric that would reflect my personality and found this pretty peacock fabric. I love peacocks! On the outside, I decided to go with a beige fleece. I didn't have a pattern so I used one of the fleece jackets that I already owned and created a pattern out of it, just without the sleeves. Here is the finished product! It was my first time installing a zipper. I think it turned out really pretty! Since then, I've made a few more, improving my skills with each one. I added a hood to this one! My friend requested one for her little girl who was turning 5. I had never made one for a little girl before but I wanted to give it a try. My favorite part of this vest are the little owls peeking out of the pockets! I also made one for a Star Wars fan who was turning 3! I've had so much fun making these vests and have decided to include the ones for women in my Etsy shop! 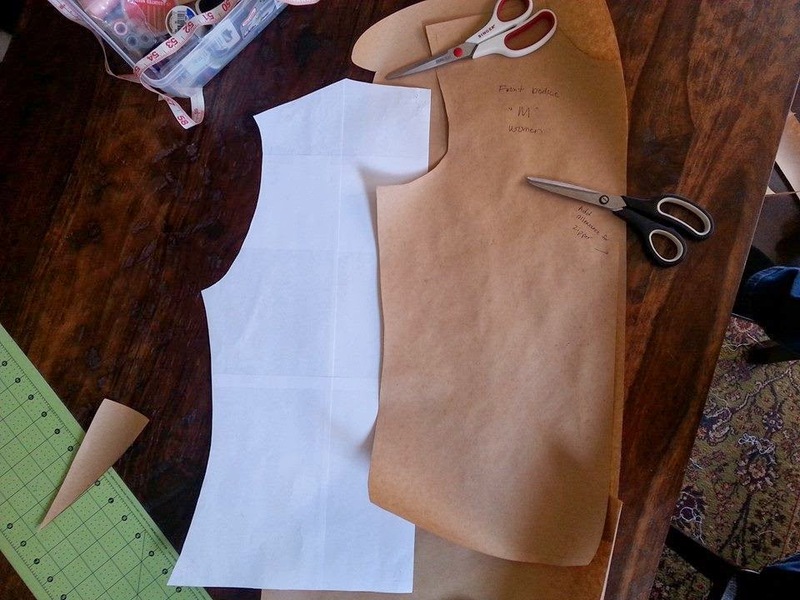 They're all made to order since the fabric selection reflects each woman's personal style. 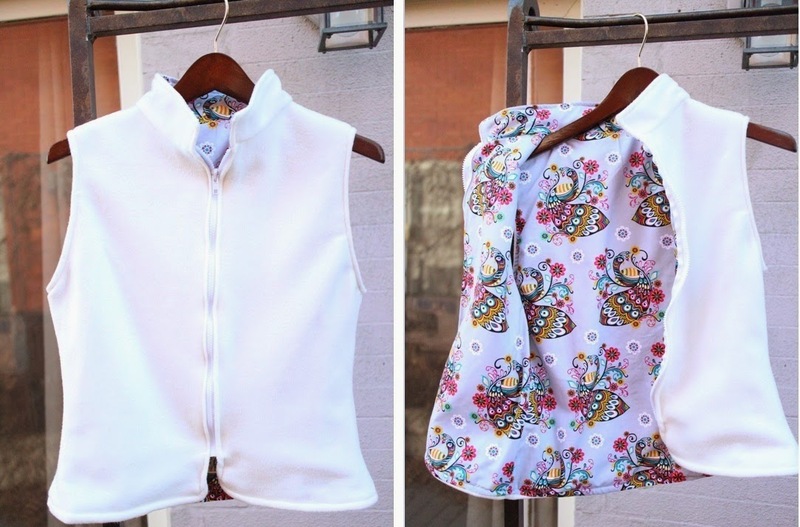 So cute, what a great idea to put patterns on the vest! Your really getting good at this Khammany! Hello Khammany! Your work is gorgeous! I love the interior patterns you have chosen. But most of all, I'm impressed you were able to create your own pattern and the end results are flawless. 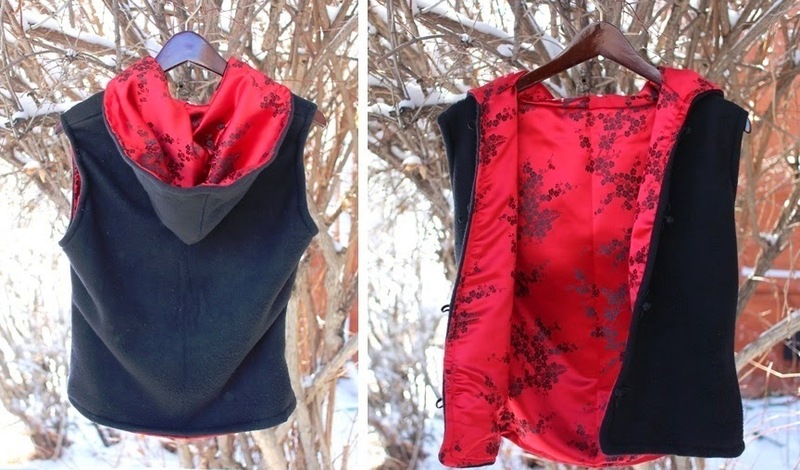 I adore the black and red vest. I hope you are having a great weekend! Love these, Khammany!!! 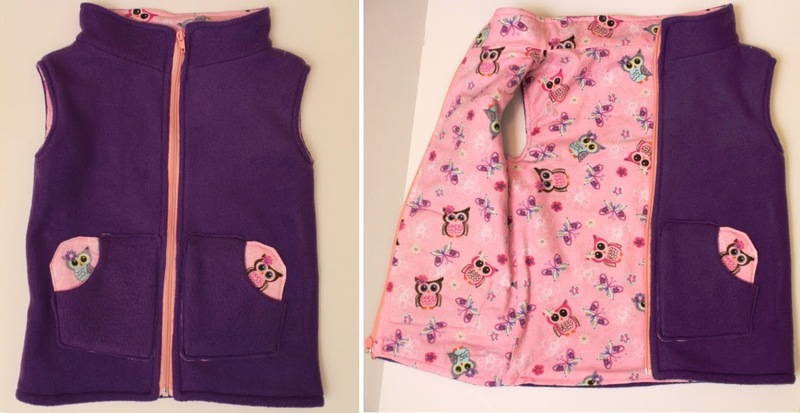 Especially the vest with the little owl pockets - so cute :) You are very talented and creative! You could start a full time business here. Cheers! Amazing job! The little girl one with the owl is so, so cute. But the peacock fabric is absolutely gorgeous. you really did great on all of them!! I love the one with the owls peaking out of the pockets. You are very talented! Love these jackets....Have a beautiful Sunday!